Toad Hall is a uniquely versatile venue, which can be styled exactly to your taste. Step through the door into the 20ft x 45ft main hall, complete with wooden floors and a working wood burner, open the french windows and walk across the beautiful and secluded flat lawn surrounded by mature trees all in the middle of the idyllic Cotswold countryside. Just minutes away from Tetbury and Cirencester with ample parking Toad Hall is the perfect venue for those who want to make their venue their own. From wedding receptions, informal drinks parties even children's birthday parties. 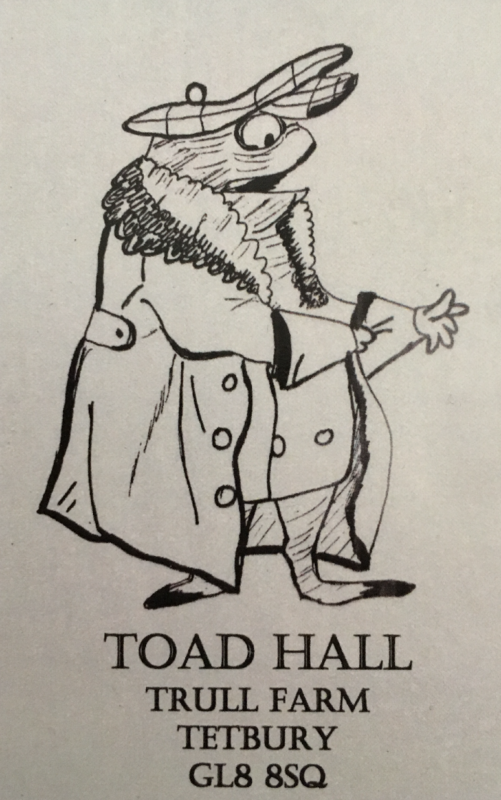 Toad Hall can accommodate all. The venue boasts a large main hall, a smaller second room - 'The Wild Wood' which is ideal as a bar area, food prep or creche etc., together with a well equipped kitchen and ladies & Gents washrooms. The outside space is large enough and flat enough to accommodate a marquee. Equipped with Wi-fi, Projector Screen, Audio, Tables & Chairs, Toad Hall offers an excellent space for off-site meetings, brain-storming sessions, conferences and team building days. Toad Hall is fully self contained with a good sized kitchen and washrooms which include disabled access. Located on a private farm with ample parking, Toad Hall is easily accessible from the A433 between Cirencester & Tetbury while offering seclusion and privacy. Square tables and upholstered chairs are included in the price. As is the well stocked kitchen with a range of pots, pans and crockery.